Here in the US, our Constitution recognizes an inborn right all humans are endowed by God with–the right to life. Whether that’s the right to self-defense, free speech, or freedom of religion, our right to self-determination is precious, and one of the building blocks of the unique liberty we have enjoyed in the United States for over two hundred years. Unfortunately, however, since 1973, there is one demographic whose right to life has been seriously restricted: the unborn. Ireland, who has also had their share of clashes with the Redcoats in modern history, actually has the right to life as part of their Constitution, much to the chagrin of far-left feminists abroad. Well, the Brits are imposing their imperial, rule in a different way in Ireland this year, as the majority-Catholic country is set to vote on repealing the Eighth Amendment, the constitutional amendment which recognizes the right to life for the unborn. 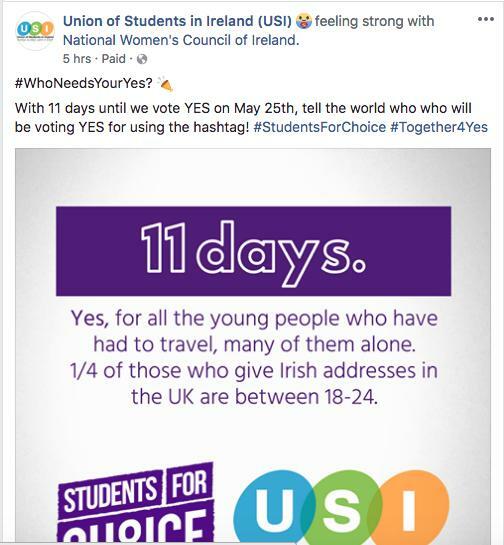 The Union of Students in Ireland has teamed up with the National Union of Students in the UK to provide vouchers for Irish students studying abroad to return home in time to vote to repeal the Eighth Amendment in their #HometoVote campaign. Pro-choice advocates will rarely phrase their view as being decidedly against the right to life of an unborn child, but there’s no dancing around this plain fact. They’re literally anti-life. So, these far-left student unions are working overtime to scrape up enough voters to amend the Irish Constitution to no longer recognize the right to life of a child in the womb. “Both the National Union of Students in the UK (NUSUK) and the Union of Students in Ireland (USI) have voiced their support of abortion in line with the likes of Irish celebrities from rock band U2 to Liam Neeson to Chris O’Dowd,” Bois writes. “Across all of Ireland, Student Unions have registered 26,979 students to vote prior to the upcoming referendum on May 25,” he adds. Remember to put some prayers in this week for this incredibly important vote for the lives of unborn Irish children!